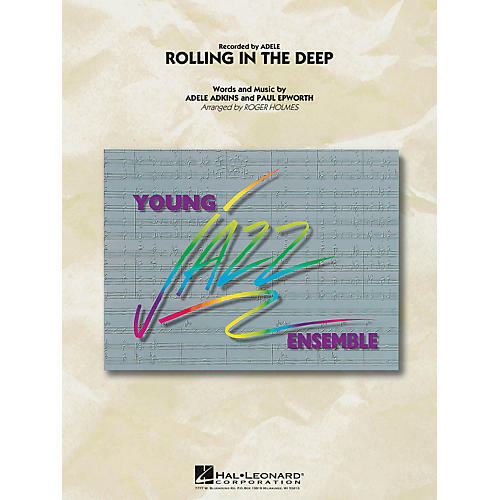 Roger Holmes has turned Adele's Song of the Year into an effective and powerful version for jazz ensemble. The melody is traded around to various sections, along with counterlines and background patterns skillfully woven in. Requires no solos.